Trumps has been producing quality foods in Brisbane since the 1930s. Owned by the Dart family, we are passionate about providing healthier food choices, and the MyOrganics range is testament to this passion. “Since 1939, over three generations of my family have supplied the food industry in Australia under the Trumps name. We have seen many changes over this time but our passion to consistently provide quality food has not changed. 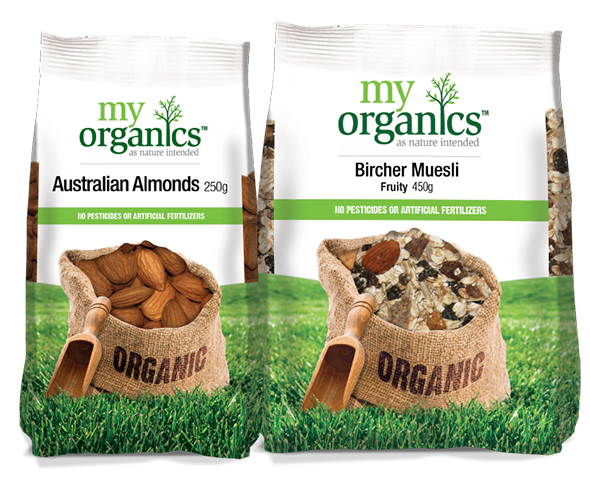 You’ll find MyOrganics in independent supermarkets and health food stores Australia-wide. Find your nearest stockist here. Eating organic food is about getting back to basics and eating natural foods that are pesticide, additive and preservative free – the way food has been consumed by humans for thousands of years. Organic food is grown without the use of synthetic fertilizers or pesticides, meaning it doesn’t have any added chemicals that could have a negative impact on our bodies. But our bodies aren’t the only beneficiaries of organic produce. The environment is just as important. Organic farmers only use natural and safe fertilizers, and good farming practices to successfully grow their produce. They work with nature to build and replenish the nutrients in the soil through crop rotation, composting and cultivation. As harmful chemicals are not used, there is minimal soil, air and water pollution, helping to create a safer and healthier world. Choosing to eat organic means choosing a healthy, sustainable lifestyle. You can feel good that you’re not consuming anything artificial – just wholefoods – and know it’s good for the planet. 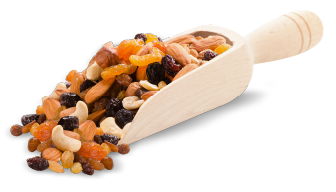 MyOrganics offers a great range of high quality, nutritious and great tasting products for all occasions. We are passionate about providing high quality products and search Australia and the world to be find the best quality produce, that is affordable for Aussie families, and of course – TASTES GREAT! Our products go through strict organic purchasing and packing requirements to ensure our products are certified organic from the farm to your pantry. You can trust that MyOrganics™ products are certified organic because you can find the Australian Certified Organic logo on all our products. MyOrganics™ is as nature intended.